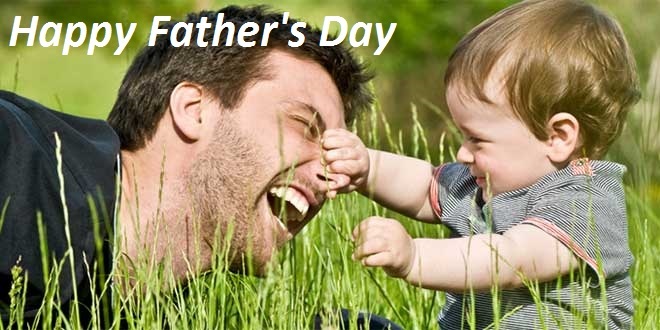 Fathers are like the candles they make daylight out of darkness. A father is someone who is concerned with every thing we do. Dear Papa Love you a lot. Thank you for every thing you did for me. 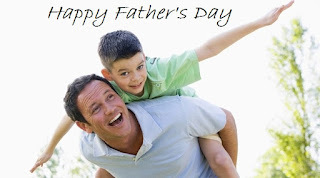 Dear, I just wanted to say that I love you and hope that you have a great Father's Day. I really hope that one day we will be having Fathers Day with a new baby. I can't wait that's my dream. Once again I love you and thank you for loving me and being such a great daddy. 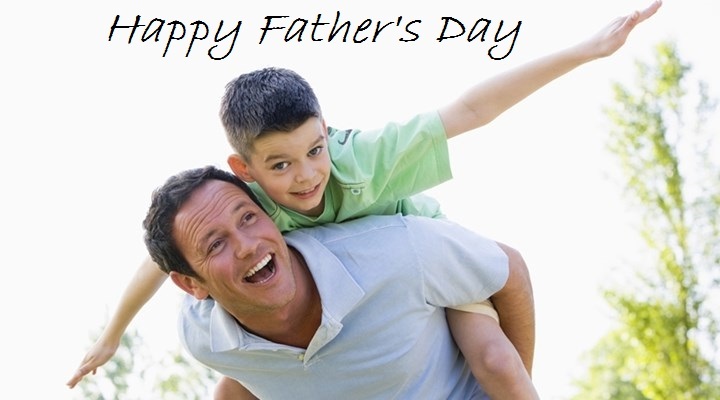 Father's Day is a very special day. Dearest And World's Best Papa, Thank you for everything. We may not have said it often, but how could we let this day go by without saying how much you mean to us. We love our dad with all our heart. You are the greatest dad in the whole world. We always see a friend in you and consider ourself to be the luckiest daughters. Be like this forever. We love you a lot. You are the only inspiration in our life. Thank you daddy for being there always. It's so hard to find a man that can love me like only you can! We appreciate everything you did for us. You are the greatest dad in the whole world. Sorry to the things,words or actions that we made by mistake to you. At last we are giving love from our heart to our loving father. 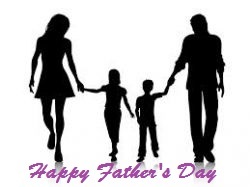 We feel we are the luckiest person in the world because we have got such a great and loving father. Wishing you a very great Father's Day with lots of love. The greatest gift I ever had from God is my Dad! The role of a father is very important in shaping up the destiny of the child. Father is greater than Guru and God. One can have all the material and spiritual blessings in this world only if they have the best of relationship with their Father. It's almost four months since I lost my dad. He is always with me in my heart. This is my first father's Day without him. I love you dad. No one can replace you. Happy Father's Day. and when he is old he will not depart from it"
Dad, I'm sorry for all the trouble i have brought to this family. I know its my fault but not all of you have to hit me.... If you treat me like one of the family I would do what I'm told and listen to you instead of laughing on your face but anyway. Happy Father's day love ya. I sent this song though Father's Day is on third Sunday of June. I believe I have not been living up to your expectations. I hope you keep on praying for me. Thank you making me laugh even when i was sad! Thank you for being that shining light in my darkest night! Thank You for encouraging me to waive a new dream each morning, Thank you for always being there for me in my sad days and also, the happy once..! Yes, i owe all that to you, You're my SUPERMAN, BATMAN, and SPIDER MAN. Yes Daddy, You're my BEST MAN! Happy Father's Day. Great dad is a real dad. I love you in everything i do i will look forward to see you. Hi Papa Jesus. Happy Father's Day. Thank you for every thing that you have done for me,my parents and my siblings....Sorry to the things,words or actions that i made by mistake to you and to other people especially to my beloved Papa and Mama..and also to my siblings. Take care and we all love you so much...God...we love you so much. I know I don't say it often enough, but I LOVE YOU VERY MUCH. You are the greatest dad in the whole world. I wouldn't be where I'm today had it not been for you showing me that I can do anything I want as long as I put God first. Thanks for all you have done for me. You are the greatest influence in my life. Thank you for being that shining light in my darkest night, and thanks for always trying to make my loads light. Thank you for the confidence you gave me while growing up. Yes, I owe it all to you dad. Superman, Batman, Spiderman....you always were and will always be my BESTMAN...and you know what dad, it's so hard to find a man that can love me like only you can! Love u so much.. however far from u but still i know u r always there for me as before. I remember all those days which we spend together happily. 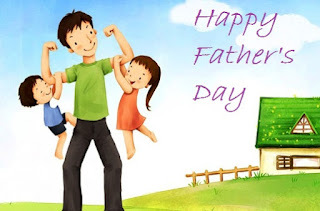 I know u r busy, even I m also but yet I miss u so much & don't think i forget this day bcoz u r only the person who taught me how to live life & how to fight against problems in your life.... thanks dad...thank u so much....I LOVE YOU. "When a child is born, a father is born. A mother is born, too of course, but at least for her it's a gradual process. Body and soul, she has nine months to get used to what's happening. She becomes what's happening. But for even the best-prepared father, it happens all at once. On the other side of a plate-glass window, a nurse is holding up something roughly the size of a loaf of bread for him to see for the first time. My father was a statesman, I'm a political woman. Don't make a baby if you can't be a father. This Year will be the fifth year without you.When ever I see my friends with their father I am little bit jealous because all friends enjoy with their father and I don't have you with me.I ask God why did you take my father away. When I lost my father I was hardly 10 yrs. Baba I miss you very much. You have been a great hero in my life,the greatest strength. Today, because of you I'm been bless in so many ways. 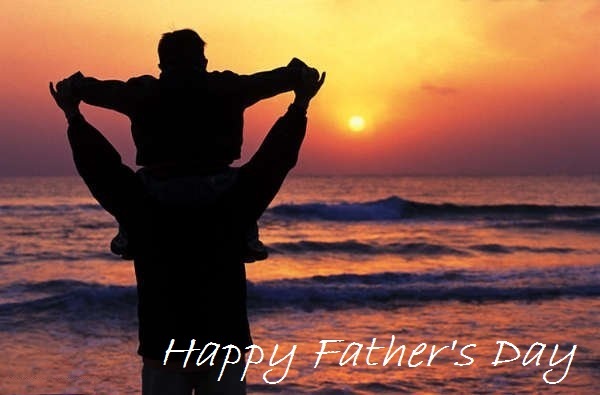 From the bottom of my heart I want to say 'Thank You Dad for Everything'. I Love You. Dad, where do I begin to even scratch the surface of the impact you've had on my life. Dad, even in the midst of my successes, my problems (and there have been many) and my shortcomings, you have always accepted me as I am. I am in awe of your strength, your integrity, and your painful endurance you deal with daily, and mostly your faith in our Lord. I only ask God to keep you safe and pain-free for many, many years. You and my Lord and Savior are the biggest source of my strength, especially during the many conversations you and I have had during pivotal points in my life. And I pray too that with all I'm going through at this point in my life, I hope that I can somehow, someway come close to having your strength, your faith, your boldness and your wisdom to endure all! I am extremely blessed to have the presence of a beautiful, wonderful, loving father!!! YOU ARE MY HERO!!!! "Happy, Happy Happy Father's Day!"